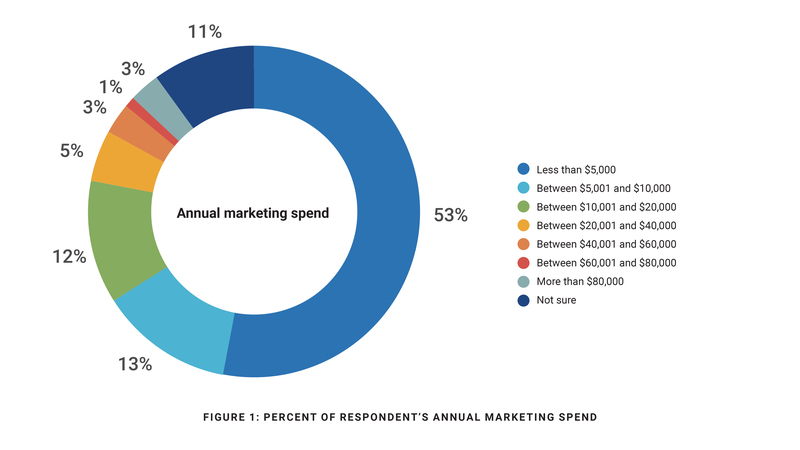 In 2017, a 53 percent majority of real estate professionals spent less than $5,000 on their annual marketing efforts, including both online and offline avenues. However, 1 in 8 real estate agents spent more than $20,000 in the year, with the top three percent spending more than $80,000 on their marketing. The quantitative study of 300 active agents, team leaders and brokers also revealed that websites and digital marketing are the top marketing tools used by real estate professionals today. 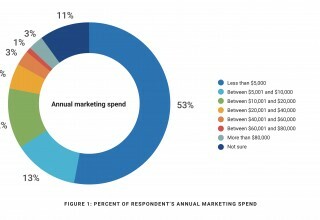 Seventy percent of those surveyed had a website, while 38 percent actively advertise in social media. 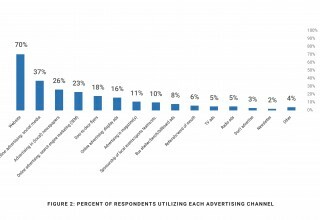 The next most popular advertising channel was local newspaper advertising at 26 percent and search engine marketing at 23 percent. 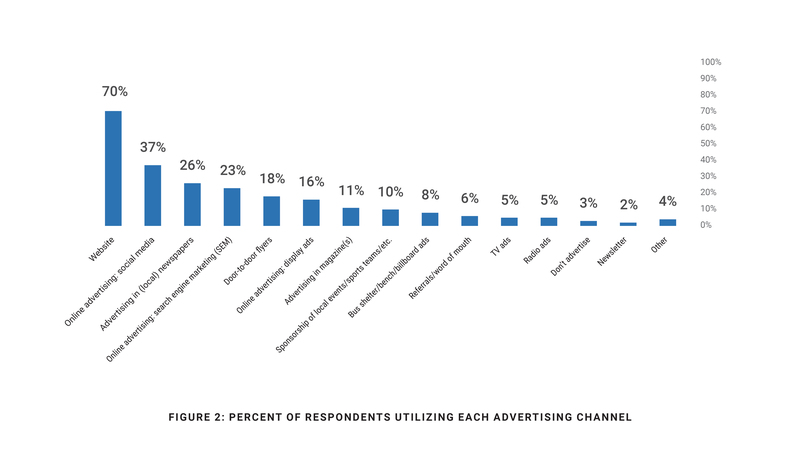 Other advertising channels used by more than 10 percent of real estate professionals include local sponsorships, magazines, online display ads and door-to-door flyers. In nearly all categories, real estate professionals with a higher GCI were more likely to maintain or increase their marketing investments in the coming year. The one notable exception was pay-per-click advertising, in which all income-earners had similar spending plans for 2018. “Our real estate clients are investing in three core areas: SEO, pay-per-click and paid social media. SEO and PPC are tried and true, and they’ve long been the backbone of almost every successful strategy we’ve seen. But agents across all income levels have also figured out that platforms like Facebook provide huge opportunity to generate new leads as well, so the industry is naturally gravitating towards social advertising in 2018,” said Morgan Carey. The full research report can be downloaded from the Real Estate Webmasters website: https://www.realestatewebmasters.com/real-estate-marketing-strategies/. Real Estate Webmasters creates technology that helps Realtors® generate leads through beautifully designed websites, and convert those leads into sales with CRM software that keeps them on top of their game. Founded in 2004 in Nanaimo, British Columbia, Real Estate Webmasters has over 60,000 real estate professionals on their platform.